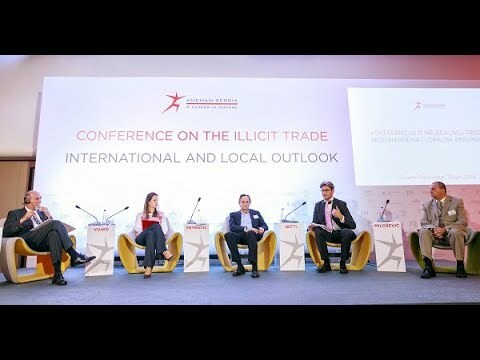 The Combating Grey Economy Committee strives to assist the Government of Serbia in significant reduction of illicit trade, thus creating level playing field and diminishing competition of black and grey market to law abiding businesses. Recognizing the problem of the grey economy, AmCham set up the Combating Grey Economy Committee in order to help establish an efficient legal framework and institutional mechanisms, and thus facilitate effective oversight of the trade in goods and services and sanction the grey economy, suppress corrupt practices, and ensure level playing field. Monitoring improvements in the processing of illicit trade cases. • Participation in drafting the Government’s Action Plan for Fighting Grey Economy, with proposals aimed at more efficient prosecution of grey economy cases and inspections oversight. MSA IP - Milojević, Sekulić i saradnici je advokatska firma specijalizovana za gonjenje i sporove u vezi sa žigovima, patenatima, dizajnom, kao i proimenu zaštite prava intelektualne svojine u devet zemalja u regionujugoistočne Evrope.